On the 12 of November 1995 an agreement was reached and signed off on in the village of Erdut which technically represented the end to hostilities between the Republic of Croatia and local Serbian insurgent authorities in the Eastern Slavonian, Baranja and Western Srijem regions. Known as the “Erdut Agreement”, or “Erdutski sporazum” it was meant to be a road map allowing for the peaceful reintegration of the aforementioned regions back into Croatian hands and was acknowledged under “The United nations security Council’s resolution 1023” which culminated in the establishment of the “United Nations Transitional Authority for Eastern Slavonia, Baranja and Western Srijem. After 18 months it did not succeed on paper but did continue as an objective for the Serb side and what it has further accomplished was to allow for what is termed the “Joint Council of Municipalities” with a Serbian majority population aligning its interests within the Osijek-Baranja and Vukovar-Srijem Counties to develop. Although not an autonomous administrative body, this joint so called council of Municipalities coordinates initiatives and proposals to the institutions of Government, International Organisations and NGO’s. It is however a founding member of the Serb National Council who’s President is Milorad Pupovac. On October 13th 2018, tomorrow as a matter of fact, Vukovar will commemorate in peaceful vidual 10,000 days of non-closure, non-closure on so many issues that we need to ask ourselves, was it actually mission accomplished on the day of the 2th of November 1995? And for us in Australia, was it also mission accomplished some 10,000 days ago in 1991 when the basis of the HOP movement here in Australia was disbanded? What is the connection between all 3? 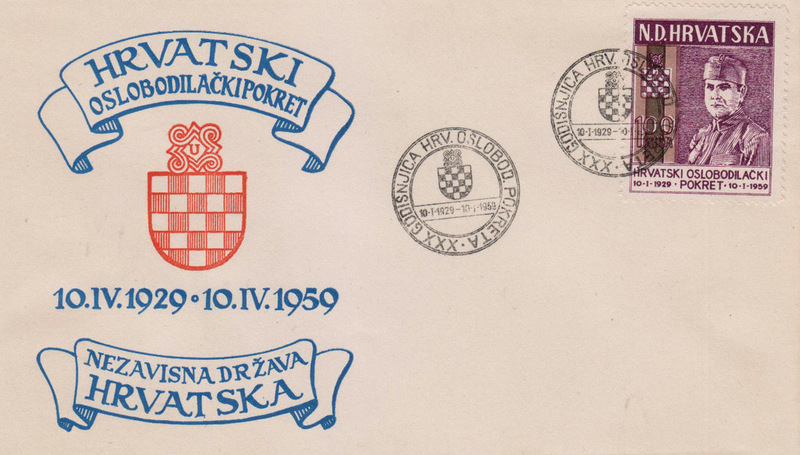 Although originally formed in Buenos Aires Argentina on the 8th of June 1956, the genesis of the HOP movement (Hrvatski oslobodilački pokret) most probably stems back even earlier to the late 1940’s when the first remnants of the NDH armed forces, survivors of the Croatian Houcost post May 1945, and political refugees who escaped the then totalitarian Yugoslavia of Broz Tito began to come together in European refugee camps or found each other in far flung foreign lands such as the United States, Canada and Australia. 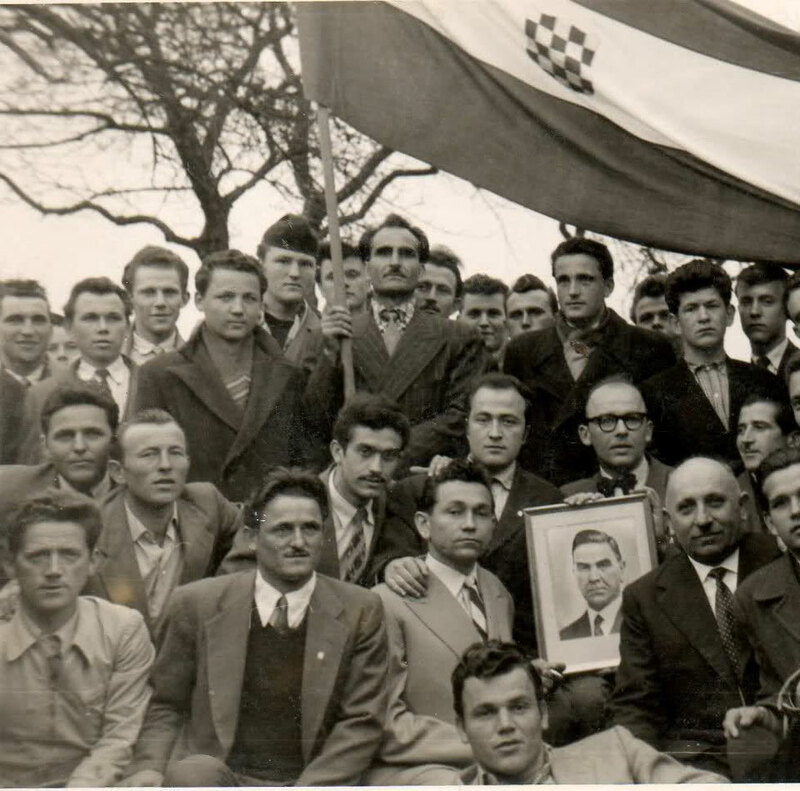 Like droplets of rain upon the scorched Earth left by Tito’s forces, life sprung and the roots of the HOP movement began to take hold before that faithful day in June 1956 under the direction and official formation by Dr Ante Pavelić 22,772 days ago. The movement grew internationally, it was accepted, tolerated, and I would dare say respected by the Western world because primarily it galvanised a people from the utmost Eastern border of Europe proper as anti-communist and by default allies to Western democracy in the fight against that cancer during the cold war. Coincidently, on the same day Dr Martin Luther King was assassinated, April 4th, 1968, 18,454 days ago, then Governor of California, later to become the 40th President of the United States, Ronald Reagan, met with HOP representatives in California to sign a proclamation recognising Croatian Independence day in that state. It is recognised as his first official act in the arena of world affairs, it was the start of a journey that would eventually see him in the Whitehouse, leading a cold war against global communism, and the eventual helping to liberate millions including those in Croatia, from its grip. May 21, 1968, file photo, California Gov. 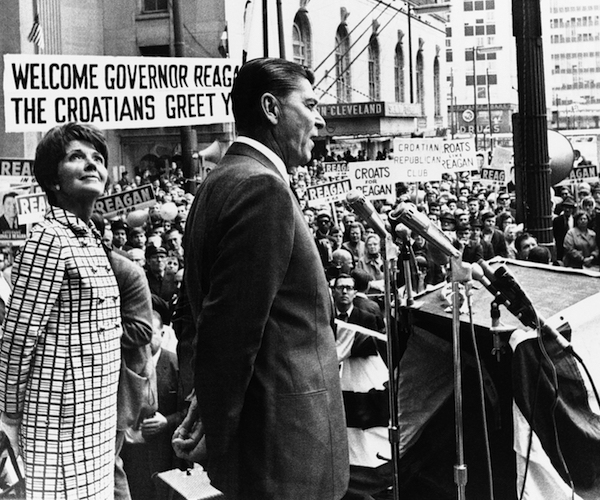 Ronald Reagan and his wife Nancy Reagan attend a public square in Cleveland to address Croatian supporters. I often ponder, what would have happened if the Homeland war for Independence had occurred only 4 years earlier during his Presidency? Would I be writing this at all ? Would the Croatia the vast majority of us had hoped for during those times actually be today instead of the Croslavia we have been dished up? I believe Reagan would have been much more decisive in a U.S. response in the Croatian peoples favour. That event was only one in a multitude of instances we could today term “Objective Accomplished” yet the Mission was far from accomplished. Move forward some 9,000 days to early 1990’s Australia, HOP’s Australian movement in Melbourne is retired under suggestion by then HOP Melbourne patriarch Ivica Kokić who announced at a meeting of HOP and AHD members that “The mission had been accomplished, Croatia had announced it’s independence, that a Government dually elected by the Croatian people and headed by Dr Franjo Tuđman now continued the fight for Croatia and that all members of AHD and HOP were now free to support the party of their choice both in political and financial terms in that struggle” HOP continued fractured like glass even registering itself as a political party in the homeland but its nucleus had been snuffed out as a coordinated effective movement. This is a watershed moment in History that will forever live in infamy for myself and the loss of the beachhead we and more so our fathers and Mothers fought for. I will elaborate upon this shortly in more detail, but this was the start of mission accomplished syndrome within the Australian Croatian Community. From that moment, here in Australia, we saw the disintegration of our community, I believe that many others in Global Diasporan communities will probably also pin point a moment in time somewhere in the 1990’s when we lost footing at the top of the Diasporan Velebit and the slow painful downward tumble started to get us to where we are now. I can almost pinpoint the epiphany moment for myself in 1993 when I was then Secretary of Melbourne Knights (Croatia) and a turf war broke out between HDZ supporters and HSP supporters in the club over fundraising activities. It was pathetic to say the least. Here were basically 3 groups of individuals, the first being the hard-core long time disciples of HOP who wanted to maintain institutions long and hard earned such as our soccer and social clubs along with the imagery, insignia and tradition of the past 50 odd years. The second group where the quiet underachievers who had in most cases remained quiet yet supportive during those years in the wilderness and now decided to jump on the bandwagon of resurgent nationalism, in most cases this reversal of inclusion was brought about due to their own family members in Croatia crying out for help, or because their home cities, small towns or villages where now direct targets in the war of independence. For this group, turning to the pseudo established clubs here in Australia that they had tried hard to steer away from previously was not an option, but the churches were. The 3rd group were the outright black sheep, the ones that had come here and up until 1991 had collaborated with Yugoslavianism, its social structure and establishments in Australia and were now homeless, for them the established clubs and associations were no option either, but the churches were once again. What of the first group? Well they are now our most senior of citizens, for them the changes were insurmountable and as a consequence they faded into the background noise happy in the thought it was “Mission Accomplished” when in fact a whole new battle raged. Some still exist, there are outposts, and although subdued somewhat, you will still find the old flag, portraits of 1940’s family members hanging, and the yearly congregation on the 10th of April occurring to share a thought, a prayer and a drink with old friends for friends long suffering and past at these places. Did HOP achieve its objective? Yes in fact it did, it helped preserve Croatian culture, belief and hope, perpetuate change when it could and when the time finally came, and then did all it could in the battle to achieve the objective. However it literally committed euthanasia in the end based on hollow promises, hence as I mentioned before, for myself, the call to disband will always remain infamous for me. To use an analogy, a country does not disarm itself after winning a war, it remains in a state of readiness. HOP was not military in nature, it was culturally militant in its opposition to Yugoslavia and communism, the word itself is generally used to mean vigorously active, combative and aggressive, especially in support of a cause, as in “militant reformers” and what we fought for were reforms for the betterment of all Croatians. HOP should have renamed itself as HOPUS or “Hrvatski oslobodilački pokret U spremnost” we should always have remained in readiness because the history of our Croatia over the many centuries, not days, has been constantly attacked, raped, pillaged and carved up, we cannot let it happen again. We need a HOP now, we need to stand up under such and become “militant reformers” when it comes to such things as the “Erdutski sporazum” and one Milorad Pupovac, and most of all we need to stand by Vukovar tomorrow not as mourners but as the same that we were 9,000 days ago when we gave a damn and fought the good fight, not the string puppets some would have us be waiving pretty graphic designer flags and building papier-mâché bridges to nowhere. Up and at it people, it’s a long road ahead and it’s not mission accomplished, there are new objectives! 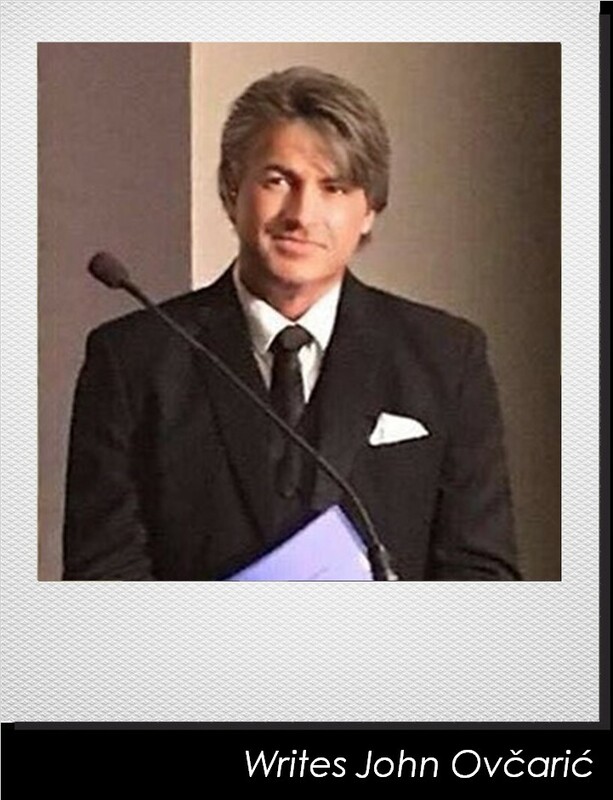 Lets make Croatia great again………………..the right way this time! Hvala vam i bogu da se netko potrudio objasniti Hrvatskom narodu uopce ma gdje bili,pa i onima koji jos to rranerazumiju.Hrvatski narod je miroljubiv napredan pametan samo nam treba dobar rodoljub koji hrvatski dise.Kroz povijest smo dosli na ono sto danas imamo zbog nase oholnosti i slabosti jer unaprijed nemamo plana. Nas okruzuju mnoge drzavice koje nas zele zakinuti po svaku cijenu uvode nam svadju, mrznju da s nama lako vladaju ,koliko vidimo oko nas su postavljeni” krokodili” i cekaju promjene u svijetu da bih onas nesto zakinulii prisvojili.Zbog svega toga dosta smo nazadni u svemu jer smo sastavljeni od vise naroda koji nisu u potpunosti ili u opce lojalni gradjani Hrvatske.Svi kao takovi trebaju se iskorijeniti iz nase sredine to se zaleglo kao “termiti” koji nas izjedaju iz nutra ,zato trebamo uvest “meavojede” da se to pocisti zauvijek.Zbog toga smo mali neotporni vecim silama koje kroje asu buducnost i kojima je dano pomilovanje za sve zlocine sto su pocinili.Hrvatski narod to nije dozivio u razdoblju drugog svjetskog rata nego su protjerivani na sve mile nacine da nas sto manje ima uz to su kaljali nase ime po cijelome svijetu.U tom razdoblju nam pripisuju genocid ,motivirane filmove i jos ne smijemo se ispoljavati tko smo u svojoj danas vlastitoj drzavi.Zato su nam potrebni” mravojedi”da pociste “termite”pocevsi od matice Pupavca koji koleborira s Vucicem ,slobodno seta preko granice i svaku pojavu koja njemu ne ide u prilog optuzuje nas Haggu.Stanimo ina svoje noge rijesimo se nepodobnih koji nas nagrizaju svaki dan. Ovo je moje misljenje< treba na ovome poraditi sto prije .